So this was a tester recipe. 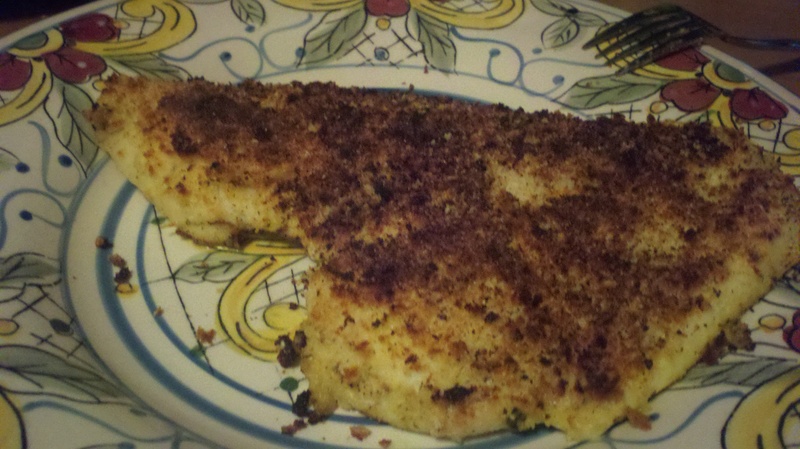 I had made this awesome fish with this pre-bottled butter dill sauce and I thought it might play nice with some crunchy panko topping. I also had a flounder fillt that was staring at me everytime I opened the freezer door, so I decided I would rescue him from his frozen station. Here were the issues for me #1 my fish was a little more fishy than I like + I found a couple pin bones in the first few bites (no one’s fault but still a recipe turn off). Second big problem was the lack of salt, I tought I was saving myself from sodium overload by no adding any salt to the fish, fail! Third I didn’t add any butter or fresh lemon to the bottled sauce as I did in the past. Last but not least I had this “brilliant” idea to add some parm to the top of the fish and toss it in the broiler, bad idea it broiled way faster than I had imagined and pretty much burnt. In all of your honor scraped off the burnt bits and pressed on. 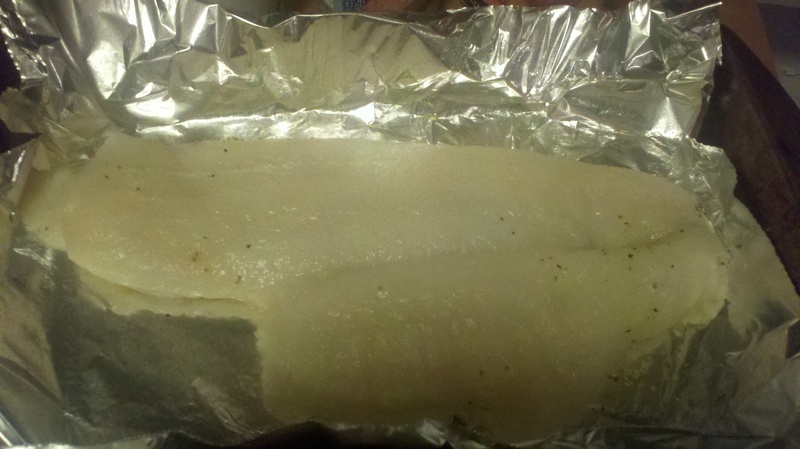 – Season fish with seasoning of your choice seasonings. – Combine bottled sauce with lemon juice and zest in a small bowl. 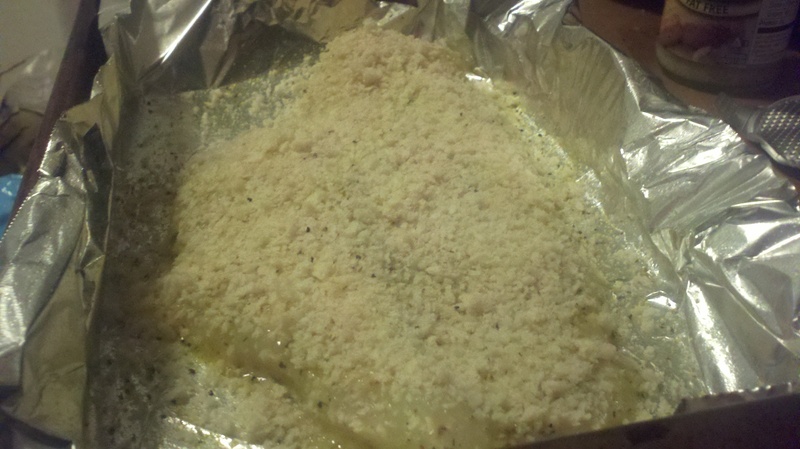 – Brush sauce mixture over fish then cover/coat with panko bread crumbs. 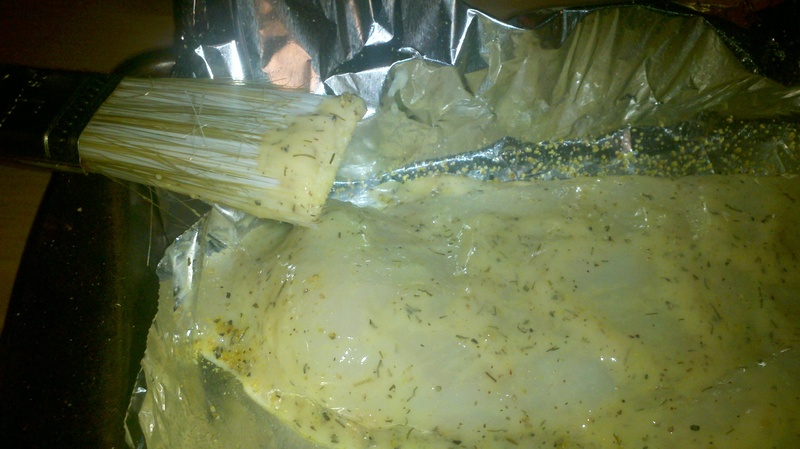 – Bake in oven for about 8-15 minutes. – Either drizzle melted butter or serve with butter on side with lemon wedges. 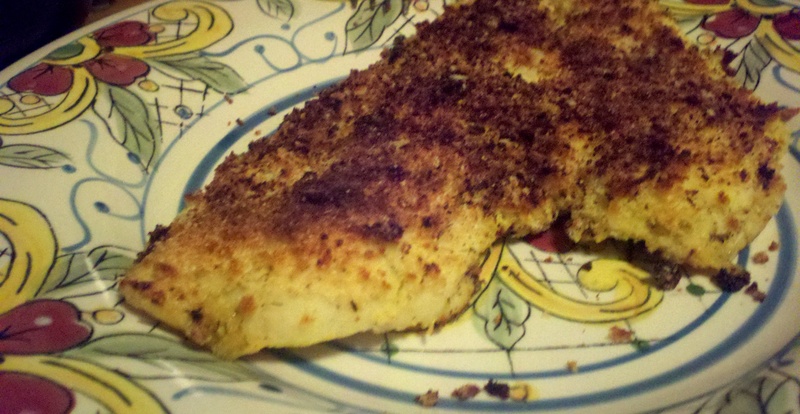 This entry was posted in People Food and tagged fish, flounder, healthy, lemon, main dish, panko, recipe, seafood by Angie. Bookmark the permalink.